As we age, we are presented with life changes. Parents that once were caregivers, are requiring care themselves or have unfortunately passed away. This is a very difficult time filled with emotion. Being prepared for taking care of an estate will help ease the stress of the situation. Although there will be very treasured mementos that will be kept, other items can be sold. There are a few ways to sell unneeded household items of an estate. If you have time to devote, a garage sale can be a way of selling the items that still have value to someone. Home decor, lawn equipment, and small appliances are great sellers in a garage sale, as well as furniture. A garage sale will take time though, from sorting and organizing through cleaning up after the sale, it can be a full time job. 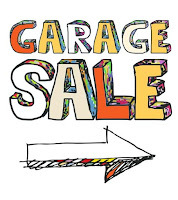 Check out awesome tips to having a successful garage sale HERE! When you have less time, an estate sale, organized by a company, is a good option. These companies know the values of items and what will sell. Their experience and staff will also help to get the most money while providing a professional experience. Donating estate contents to charitable organizations can be done instead of a garage or estate sale. This is a good idea with smaller homes and is usually a quick process. A charitable organization can be a personal choice, such as a church designated by your loved ones or a charity that has convenient drop-off locations. Slightly worn clothes and shoes, while not doing well in garage and estate sales, are very valuable items to charities, especially the ones who help homeless individuals or struggling families. When the other options have been planned, a roll-off dumpster will be the best idea to clean up the rest of the estate. Donating to charity helps the less fortunate, while garage and estate sales help to recover needed expenses, but there will be items that don’t sell and items that are in such condition, they can’t be donated. These can be disposed of easily in a dumpster. And because a rental includes 10 days, you will have the time to thoroughly go through the estate’s items, such as pockets, under drawers and mattresses. Finally, in the case where a home will need to be sold, a roll-off dumpster helps with preparation. Old flooring, such as tile or carpet can be disposed of in a dumpster, easily helping the home to get on the market. A dumpster can be scheduled after a sale to accomplish clearing out and cleaning up at the same time, taking full advantage of the rental. 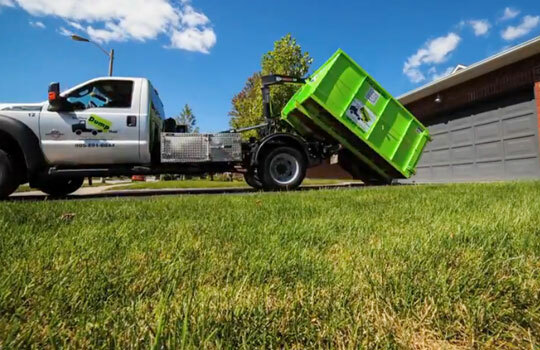 If you have questions about dumpster rentals or would like to place an order, give us a call!